Up to a few years ago, things used to be different. 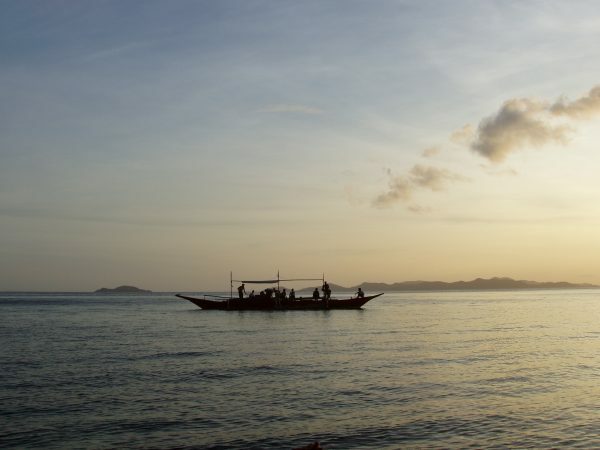 The Tagbanwas’ territorial rights were not legally recognised and the island was encroached by tourism operators, migrant fishermen and politicians and government agencies in search of land deals. This caused numerous problems, from impoverishment of the marine resources to humiliation of the local traditional authorities. 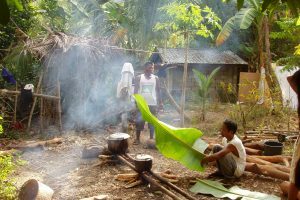 In the mid-1980s, however, with the help of a Philippino NGO called PAFID, the Tagbanwa organized themselves into the Tagbanwa Foundation of Coron Island and applied for a Community Forest Stewardship Agreement. 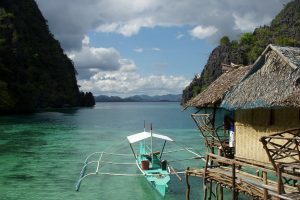 In 1990, the stewardship agreement was granted over the 7748 hectares of the island of Coron and a neighbouring island called Delian, but not over the marine areas. 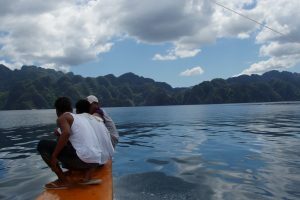 In 1998 the islanders managed to obtain a Certificate of Ancestral Domain Claim for 22,284 hectares of land and marine waters, and in 2001, with the help of a high quality map and an Ancestral Land Management Plan they obtained a Certificate of Ancestral Domain Title, granting collective rights over the two islands and the surrounding waters. Since then, the Tagbanwa have been equipped to defend their island, have enforced regulations regarding tourism access and have drawn rather substantial benefits from it. Problems still abound, however, in particular regarding enforcement of their rights over the second island (Delian) and the ancestral waters. Violent migrant fishermen cannot be expelled without the cooperation of the government institutions, which the Tagbanwa Foundation repeatedly requested but has not been forthcoming. The Tagbanwa communities also have had to deal with internal conflicts (money-related) and with the many issues that remain unresolved in a poor society. Water supply, sanitation, health and education services and transportation are a daily struggle. 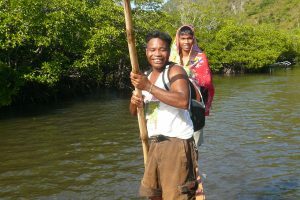 Fortunately, most people – elders and youth alike – remain attached to their island and their sense of common identity. For instance, the society is reluctant to criticize or humiliate anyone—a fact that engenders some stagnation in decision making but, possibly, helps social survival in the longer run. 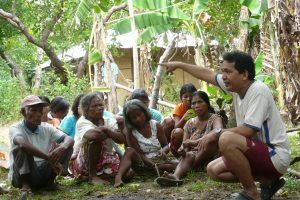 The Tagbanwa recently developed a small Heritage Center, where they collect information over their struggles and explain their intention to remain in control of their ancestral domain. Hopefully, the local youth will have the strength and intelligence to withstand the power of cultural homogenisation and keep alive the unique ties that link them to their wonderful ICCA.